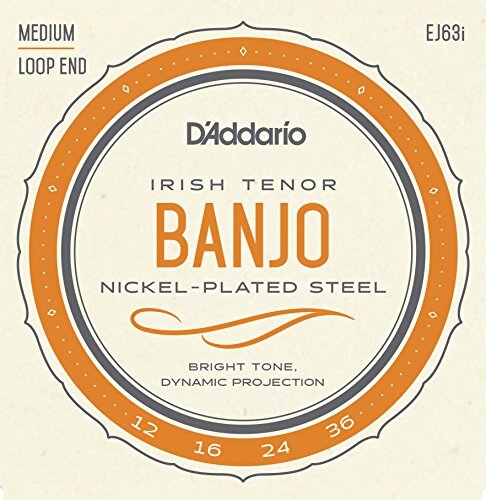 D'Addario EJ63i banjo sets are designed for the Irish Tenor Banjo, typically tuned in fifths and played with a "plectrum" picking style. D'Addario banjo strings are trusted by legends like Ralph Stanley, Rob McCoury, Ron Block, Alison Brown, and more, for their authentic tone and reliable performance. They are made from the highest quality plain steel, stainless steel, nickel plated steel and phosphor bronze and available in a wide variety of gauges.